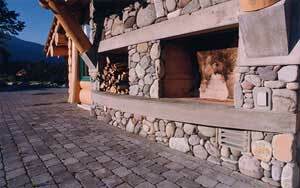 The river rock fireplace is tightly fit, with no mortar showing. Rock sizes are well balanced to make it look like a natural river bed. 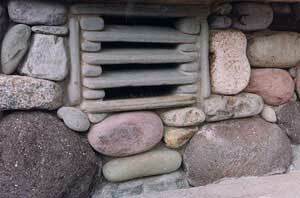 The outdoor fireplace is completed with a river rock vent built inconspicuously underneath the concrete fireplace ledge. 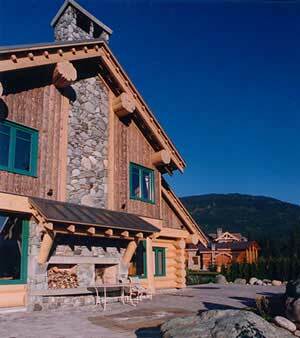 This fresh air intake for the indoor fireplace is finished as a fine detail matching the surrounding river rock.